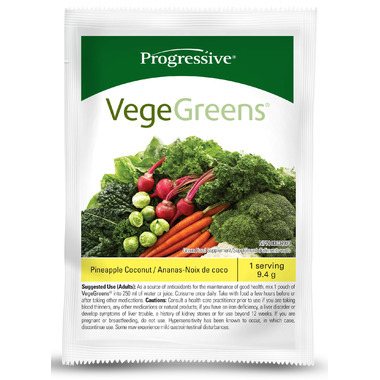 Progressive VegeGreens Green Food Supplement is made from a blend of eight different families. The eight families in VegeGreens are Plant Oils, Green Food Concentrates, Land Vegetables, Sea Vegetables, Cruciferous Vegetables, Phytonutrients, Herbs & Extracts, and Botanicals. 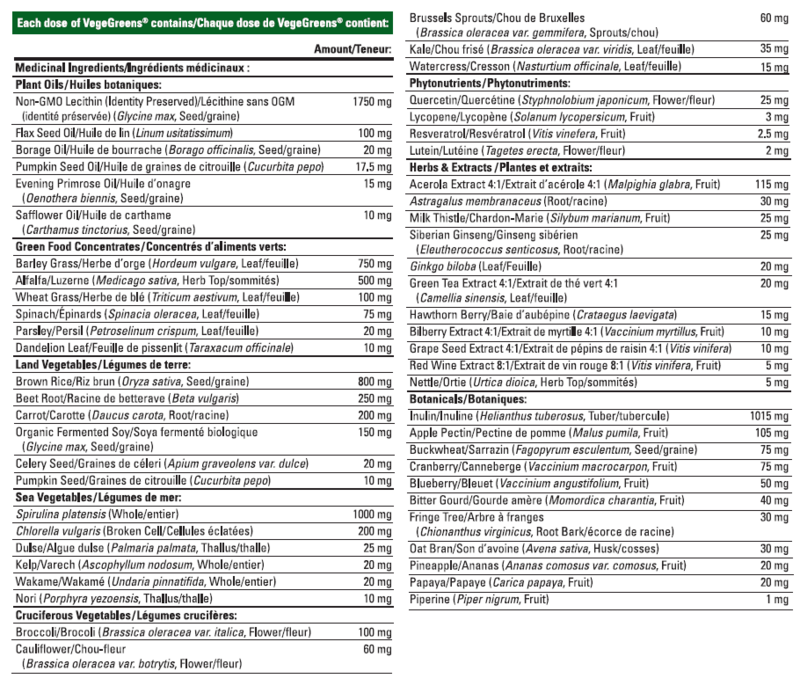 Non-Medicinal Ingredients: Stevia Leaf Extract, Natural Pineapple and Coconut Flavours, Citric Acid, Malic Acid. I had a chance to sample this product and I really did enjoy the taste of it. I don't usually use these powders in my smoothies so I'm not sure if I did notice a change but I would try it again for sure! I liked this flavour a lot and if you put it in a smoothie cup with a lid and reusable straw you hardly notice the dark green colour! Enjoyable as a shake, in water, milk, juice, or even atop a yogurt. Nope. Its a dark green color and not a nice one either. Sure I get the taste of paradise but it's mixed with healthiness and it's not good. For my taste it's sweet, but better than other powders. That said it has a very good composition. I felt a change within a few days taking it. I tried it and it tasted like a bit of paradise without the booze. Amazing flavour!